Enjoy all the benefits of our local honey. 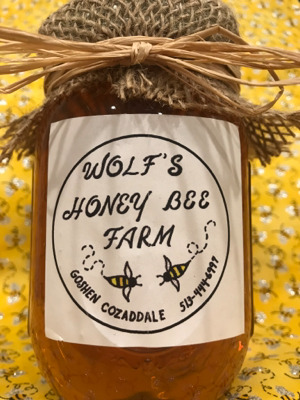 Raw honey helps with eczema, burns, wounds, coughing, allergies, asthma, bug bites, sleeping aides, and so many more benefits. Our honey is raw with no additives or preservatives. Nothing added. Just pure honey. No heating which eliminates benefits from the honey.